Wylie News Archives - Wylie & Co. In the last 48 hours, we’ve seen a lot of the values we hold near & dear flipped on their heads. Situations like these test our strength, our ideals, our resolve. Situations like these make it that much more important to vocalize our stance and firmly stand in what we believe is right and true. Here at Wylie & Co., we’re committed to diversity & inclusion. It is one of our core beliefs as a company. Building more reflective communities — both online & in person — is not a nice to have, it’s a must have. We will continue to fight to amplify diverse voices, build inclusive communities, spark crucial conversations and demand equality & respect for all, both in our work and in our daily lives. We will always put humans first and marketing second. We will always stand on the side of what is good & right. We will always stand on the side of empathy, justice and love. Nailah’s Going To Speak At Mom 2.0! It’s been a helluva year. As I got together with fellow business owners over the last few weeks and reflected on 2015, I would tell them that the past year has been a challenging year for me, both personally and professionally. And each time they’d tell me how sorry they were to hear that and how next year will surely be better. But what they’re missing is that while this year was a tough one, it wasn’t a bad one. It actually may have been one of my best years yet. Challenges force us to take a good long look at ourselves and confront the things that we thought we weren’t ready to face just yet. Challenges show us how resilient we are, they show us our weaknesses. Challenges may knock us down, but they also lend us a hand to get back up and attack with tenacity and grit. Every year can’t be smooth sailing and as a business owner, I signed up for those ups and downs. Thank you 2015 for all that you’ve given me. 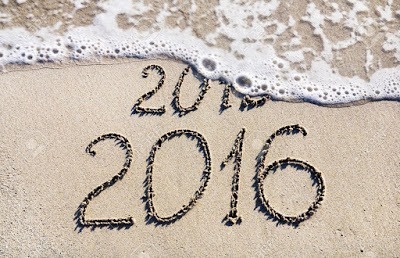 2016: I’m ready for you.